The rejection of loanable funds theory totally negates classical macroeconomics because it means the economy has no mechanism for equilibrating full employment saving and full employment investment. That is why the theory of interest rates dominated discussion of The General Theory immediately after it was published.It is also why mainstream economics, with its classical bent, keeps circling back to interest rate theory – evidenced by the current revival of the natural rate of interest doctrine and appeal to the zero lower bound on nominal interest rates as the cause of unemployment and stagnation. It’s a beautiful fairy tale, but the problem is that banks are not barter institutions that transfer pre-existing loanable funds from depositors to borrowers. Why? Because, in the real world, there simply are no pre-existing loanable funds. Banks create new funds — credit — only if someone has previously got into debt! Banks are monetary institutions, not barter vehicles. 1 As already noticed by James Meade decades ago, the causal story told to explicate the accounting identities used gives the picture of “a dog called saving wagged its tail labelled investment.” In Keynes’s view — and later over and over again confirmed by empirical research — it’s not so much the interest rate at which firms can borrow that causally determines the amount of investment undertaken, but rather their internal funds, profit expectations and capacity utilization. 2 As is typical of most mainstream macroeconomic formalizations and models, there is pretty little mention of real-world phenomena, like e. g. real money, credit rationing and the existence of multiple interest rates, in the loanable funds theory. Loanable funds theory essentially reduces modern monetary economies to something akin to barter systems — something they definitely are not. 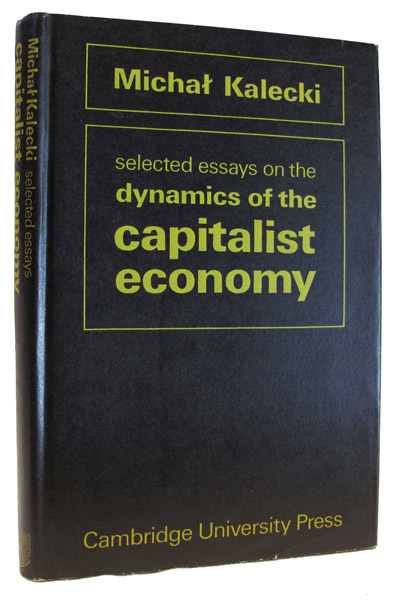 As emphasized especially by Minsky, to understand and explain how much investment/loaning/crediting is going on in an economy, it’s much more important to focus on the working of financial markets than staring at accounting identities like S = Y – C – G. The problems we meet on modern markets today have more to do with inadequate financial institutions than with the size of loanable-funds-savings. 3 The loanable funds theory in the ‘New Keynesian’ approach means that the interest rate is endogenized by assuming that Central Banks can (try to) adjust it in response to an eventual output gap. This, of course, is essentially nothing but an assumption of Walras’ law being valid and applicable, and that a fortiori the attainment of equilibrium is secured by the Central Banks’ interest rate adjustments. From a realist Keynes-Minsky point of view this can’t be considered anything else than a belief resting on nothing but sheer hope. [Not to mention that more and more Central Banks actually choose not to follow Taylor-like policy rules.] The age-old belief that Central Banks control the money supply has more an more come to be questioned and replaced by an ‘endogenous’ money view, and I think the same will happen to the view that Central Banks determine “the” rate of interest. There are always (at least) two parts in an economic transaction. Savers and investors have different liquidity preferences and face different choices — and their interactions usually only take place intermediated by financial institutions. This, importantly, also means that there is no ‘direct and immediate’ automatic interest mechanism at work in modern monetary economies. What this ultimately boils done to is — iter — that what happens at the microeconomic level — both in and out of equilibrium — is not always compatible with the macroeconomic outcome. The fallacy of composition (the ‘atomistic fallacy’ of Keynes) has many faces — loanable funds is one of them. What is ‘forgotten’ in the loanable funds theory, is the insight that finance — in all its different shapes — has its own dimension, and if taken seriously, its effect on an analysis must modify the whole theoretical system and not just be added as an unsystematic appendage. Finance is fundamental to our understanding of modern economies, and acting like the baker’s apprentice who, having forgotten to add yeast to the dough, throws it into the oven afterwards, simply isn’t enough. All real economic activities nowadays depend on a functioning financial machinery. But institutional arrangements, states of confidence, fundamental uncertainties, asymmetric expectations, the banking system, financial intermediation, loan granting processes, default risks, liquidity constraints, aggregate debt, cash flow fluctuations, etc., etc. — things that play decisive roles in channelling money/savings/credit — are more or less left in the dark in modern formalizations of the loanable funds theory.